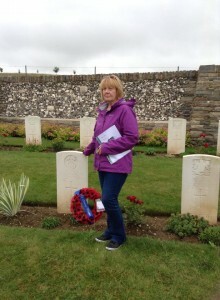 When I am conducting a battlefield tour I often get asked how a visitor to the WW1 battlefield sites could find out more about a relative who has served in the Great War. So in this blog I have listed the methods that can be used to research an ancestor’s military career. Firstly the researcher has to establish whether the serviceman was killed in the war or if he survived. For those killed in the Great War there are several accessible sources however, for those who survived there a far too few records available and unfortunately it can sometimes be impossible to trace their service history. The first step is to trace a soldier’s regiment followed by his battalion. A regiment would have numerous battalions, serving in various theatres of war. Without a soldier’s battalion it is impossible to discover what he did during that period. With an artillery man, royal engineer or medical corps you would have to trace his unit as these servicemen were not formed into battalions. Soldiers Died in the Great War 1914 -1919 – after the war a series of books was published containing the names of all those soldiers killed in the war, officers’ names being held in a separate register. These books have been reproduced onto a CD Rom which is available from Naval and Military Press (www.naval-military-press.co.uk). Many reference libraries will carry either the original books or the CD Rom. ‘Soldiers Died’ is not totally reliable however it is a primary source. 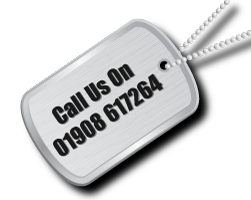 Commonwealth War Graves Commission – the Commission can supply you with information on places of burial or commemoration of those servicemen killed in the war, sometimes this information will also contain references to next of kin or home address. Medal Index Cards (MICs) – these are a series of cards which contain a list of medal entitlements for all those servicemen who enlisted during the Great War. This will sometimes refer to dates of embarkation overseas which assist in confirming a soldier’s battalion. 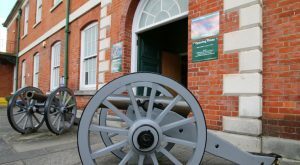 Regimental Museum – regimental museums vary in the information available. They do not normally hold service records but do sometimes have regimental photographs, diaries, letters and information such as embarkation rolls (a list of men from a particular battalion proceeding overseas). Regimental museums are in desperate need of funds and so it is always worth enclosing a small amount of money towards administration costs etc. Trafalgar Road, Birkdale, Southport, Merseyside, PR8 2HH, or in person from St Catherine’s House, 10 Kingsway, London, WC2B 6JP. Census Records – these records can assist in confirming family address etc and with the publication of the 1901 and 1911 records make this an even more relevant source. The PRO holds the census records however these (certainly up until 1901) should be also be held in the local reference library. Local Newspapers – some local papers can be a valuable source and have lists and sometimes photographs of casualties, those that are wounded, prisoners of war and those killed. There would often be columns devoted to small villages which would refer to the servicemen of that particular area. These papers are normally available at a county reference library, however wading through the local newspaper can be very time consuming and both laborious. regimental roll of honour held at the regimental museum. Many towns and counties have rolls of honour (ask at the local library of council offices). Many churches, chapels, schools etc also have rolls of honour. There are also national publications such as de Ruvigny’s Roll of Honour, a series of books containing several thousand biographical records of servicemen who died in the Great War (normally available at county libraries). There are also a series of books called ‘The National Roll of Honour’, a post war publication which attempted to compile a brief biography of as many Great War participants as possible the vast majority refers to combatants who survived the war. 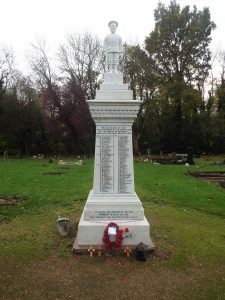 War Memorials – Most towns and villages in Great Britain have a war memorial. They also vary in format and information available. Sometimes it may be just a name, particularly on a memorial of several hundred servicemen, however on smaller village memorials it may say where the serviceman lived and where he died. A serviceman may be on a memorial where he was born, or on a memorial where he lived or enlisted, it is possible therefore that he may be on three memorials. Regimental Histories – many regiments published a First World War regimental history. These are great for battlefield tours as they give accurate accounts of what happened on the battlefields. They sometimes contain a roll of honour, a list of gallantry awards as well as information on the various battalions of that regiment during the war. War Dairies – each battalion would have a war diary for its first world war service. This document was normally written on a daily basis by an officer serving with the battalion. These again vary in the type and quality of information available. However as a daily record there are invaluable to researchers. These are kept at the Public Records Office and sometimes are also available at the regimental museum. Next of Kin – it is quite often surprising to find little pieces of information through family connections. A recipient’s medals would have been forwarded to him or sent to the next of kin if he had been killed. There are often postcards, letters, photographs or some small souvenir lingering in a draw or attic. Gallantry Medal Rolls – various gallantry medals were awarded during 1914-18. The most common were the Military Medal and the DCM (Distinguished Conduct Medal). A record of awards can be verified through the ‘London Gazette’ although it does not always carry the citation, especially in the case of the Military Medal. However the citations can sometimes be found in the regimental histories. 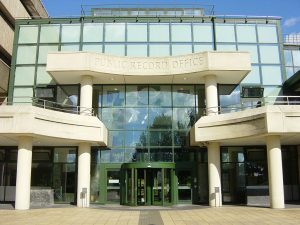 For those soldiers who survived the war the most useful resource is the Public Records Office at Kew, London. They now hold the records of surviving soldiers of the Great War. However be prepared to be disappointed. Approximately 70% of those records were destroyed by fire in World War 2 and what remains are known as the ‘burnt’ records. Officers’ records were not destroyed at this time and are approximately 85% complete. For those of you who do not have the time to carry out the above research there are specialists who will do this for you. They charge to put together a biography of the soldier you are researching but, in some cases, they are well worth the money as they are quite quick in sourcing the information you require. Rifleman Tours will carry out some research for guests on our battlefield tours and work with a few independent researchers. 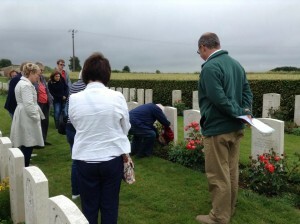 It has been our pleasure and honour in the past to build specific battlefield tours following the footsteps of an ancestor and showing the family just where they fought and in some cases unfortunately died. So if you come on a battlefield tour do not be afraid to ask us if we can help trace a relative or take you to a family member’s grave.